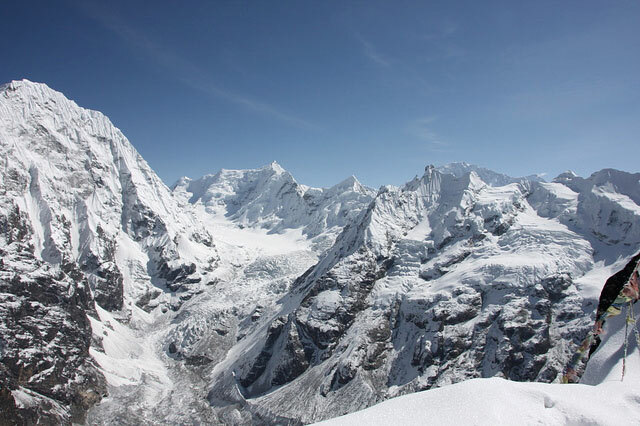 Yala Peak is one of Nepal’s easier trekking peaks, a relatively straightforward beginner’s climb up a steepish slope, along a ridge and up a bit. When there is snow on the slope ice-axes will be carried by your guide and may be used. You may decide not to climb the last 20 metre segment of steep rock. 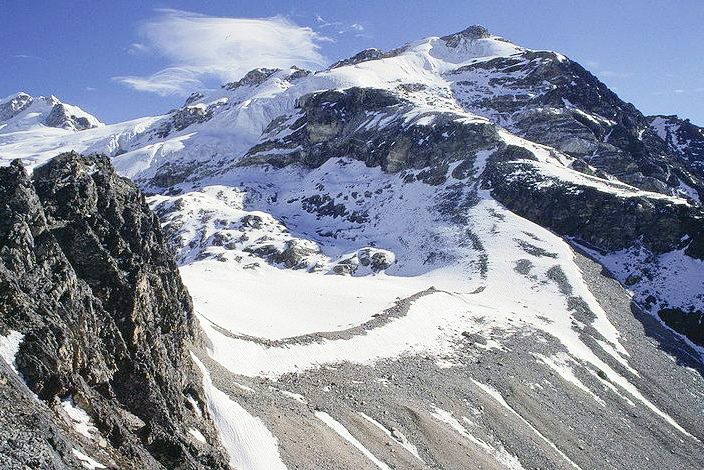 The summit is an excellent vantage point from which to view Shishapangma (8,013m). 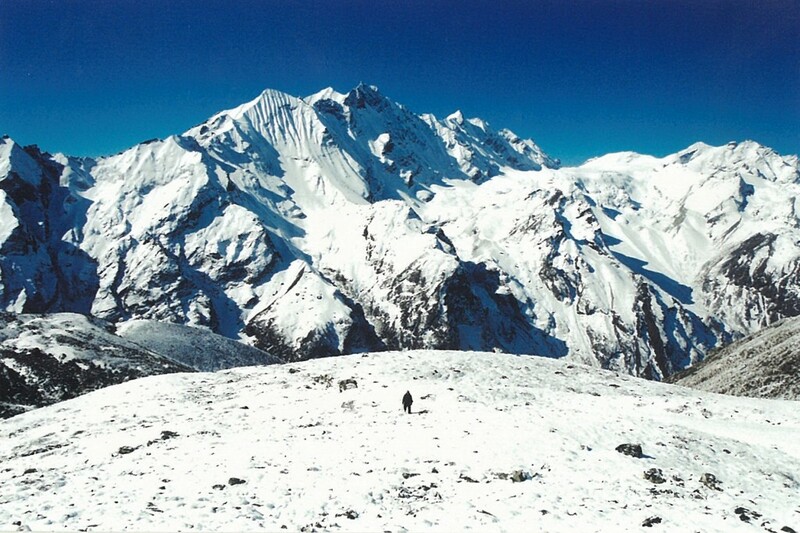 The trek suggested below is inserted into the Langtang Valley Trek and involves a steady change in altitude. To give yourself more time to get fit and adjust to altitude we suggest including Yala Peak during the longer Helambu, Gosaikunda, Langtang Trek. This route is best in late September, October until mid/late November, but can be done in March or April. Day 1 Kathmandu to Syabrubesi (1,462m) Your trekking guide will come to your hotel and, after breakfast, we make the breathtaking drive from Kathmandu to Syabrubesi during which we’ll catch some splendid views of Ganesh Himal, terraces and green hills. You may notice that the road is still under construction. (8 hour drive). Day 2 Syabrubesi to Lama Hotel (2,500m) Today the first part of the trek crosses the Bhote Koshi (river) and follows the Langtang Khola (river). 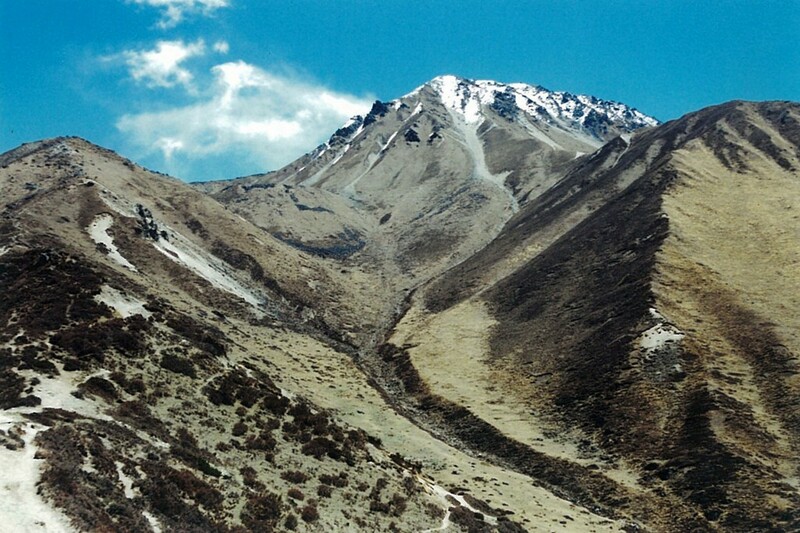 The trek gradually climbs to Bamboo (1,960m) before we hike gently up to Rimche (2,400m) and trek on to Lama Hotel. En route you might see red pandas, monkeys and bears if you’re lucky – well monkeys anyway. (5 hour trek). Day 3 Lama Hotel to Langtang Village (3,307m) The trek continues through forests of hemlock, oaks, maples, white and pink rhododendrons before opening up to give us glimpses of the peaks ahead. Langtang Village is the old local village and the views from here are spectacular. NB it’s necessary to stop here for acclimatization rather than trekking directly to Kyanjin Gompa. (5 hour trek). Day 4 Langtang Village to Kyanjin Gompa (3,860m) A short trek brings us to Kyanjin Gompa. Here we can hike up Kyanji Ri (4,600m) the hill directly to the northeast of where we’re staying, take a short hike up toward the base of Langtang Himal and admire the views to your right up the valley behind Kyanji Ri, visit the monastery, or hike slightly downhill and cross the river to explore the other side. Day 5 Kyanjin Gompa exploration day Today is a day to rest and EXPLORE the area so use it and utilize your trekking guide. 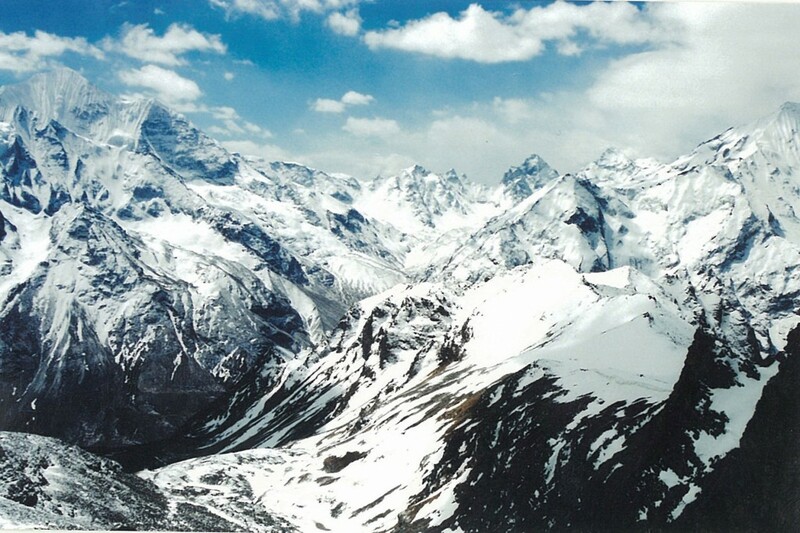 If you’ve already hiked up Kyanji Ri try hiking up Tsergo Ri (4,980m and 5 hours), which is best done in the morning. Day 6 Kyanjin Gompa to Yala Base Camp We trek up the side of the valley away from the last inhabitants, then we turn and hike up a valley keeping our eyes open for wildlife. (5 hour trek). Day 7 Yala Base Camp to Kyanjin Gompa via Yala Peak We now start to trek steeply up, maybe hitting the snow line, until we reach a ridge. Here we turn right and trek the fairly level crossing toward the last section, where we may need to scramble. The last 20m of this trek may be a bit tricky, it requires some technical skills, but both the view and the feeling of accomplishment are exhilarating if we do it or not. (8 hour trek and climb). Day 8 Kyanjin Gompa to Lama Hotel We must trek back from this delightful area. (5 hour trek). Day 9 Lama Hotel to Syabrubesi Leaving the mountains behind us we make an alternative trek using a higher path from Rimche down to Syabrubesi (and a high powered hot shower). (5 hour trek). Day 10 Syabrubesi to Kathmandu We drive back to Kathmandu. Hopefully you’ve had an excellent trek and we look forward to trekking with you again on your return to Nepal. Price US$ 1,900 per person for a group of 4 (more for fewer people and less for more) plus accommodation in Kathmandu. Price includes Airport pick-up and drop-off, all inclusive trek costs; accommodation in tents and/or twin bed rooms, breakfast, lunch, dinner, trekking and park permit fees, climbing equipment, guide and necessary porters and all their costs such as transportation, accommodation, food, equipment, insurance etc.